Paul Ingraham • Jan 12, 2015 ARCHIVEDMicroblog posts are archived and rarely updated. In contrast, most long-form articles on PainScience.com are updated regularly over the years. Unfortunately, I can no longer recommend the Workbook . 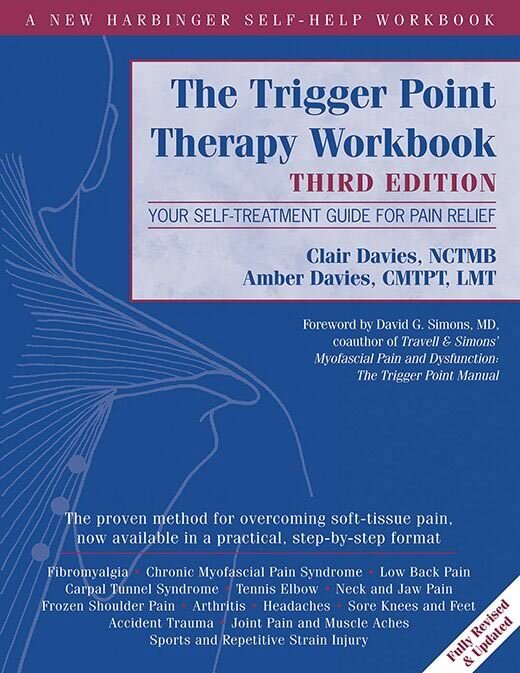 I finally updated my review of The trigger point therapy workbook . The 3rd edition was published in 2013, and I avoided it for more than a year, because I knew it was probably going to put me in an awkward position. I used to recommend it — a different book about trigger points than my own, but worthwhile for many readers, I hoped. I always thought it oversold trigger point therapy, from the very beginning, but I endorsed it despite that. Not everyone thinks trigger point therapy works, or works anywhere near as well as you might think after reading this book. The rise of trigger point needling in particular — with its relatively high risks and costs, but no good evidence of benefit — has raised many skeptical eyebrows over the last ten years. Some professionals are starting to see trigger point therapy as a great wave of snake oily hype … not a plucky underdog bringing new hope to pain patients. The critics may be right. Or they could be wrong. Regardless, any modern book on this topic should at least acknowledge the debate. The Workbook does not. That’s a deal-breaker for me. My review also serves as an update on the controversies that it neglects, and I have more coming on this topic soon — especially some thorough commentary on an important new paper criticizing trigger point therapy.